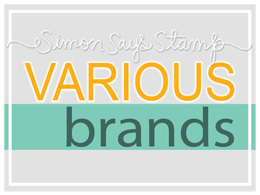 Mini Applicator Disposable ADHESIVE BRUSH Pack of 100 MA100 at Simon Says STAMP! MA100 This item is on reserve until If you would like to reserve this item now, you may purchase it now with the rest of your order. We will hold your order now and ship your entire order as soon as this item is back into stock. If you would like your order to ship now, please place this item on a separate order. Success, Mini Applicator Disposable ADHESIVE BRUSH Pack of 100 MA100 has been shared! These applicators are perfect for applying adehsive like multi matte medium to your craft projects. Use them for super fine letter cut outs from your wafer thin dies, or even just small strips of paper. Pack of 100 disposable applicator brushes.